Chocolate! Perfect for a teacher’s gift or even just to make with the grandkids! I have to be honest, I didn’t come up with this on my own! It’s one of those crafts you see the picture and think ‘Oh! I could totally do that!’ When you get going to decide you need some help. I found this awesome blog that already had the measurements figured out. QBee’s Quest has a TON of awesome tutorials and they all include very detailed instructions! 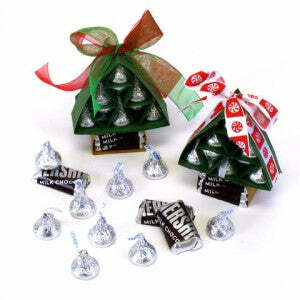 Please refer to http://qbeesquest.blogspot.com/2013/09/hersheys-christmas-tree-tutorial-updated.html for detailed instructions.